I-CAR Australia’s Gold Class Coordinator, Gary Wood, announced that Auto & General Insurance has been awarded the prestigious I-CAR Gold Class Insurer status. 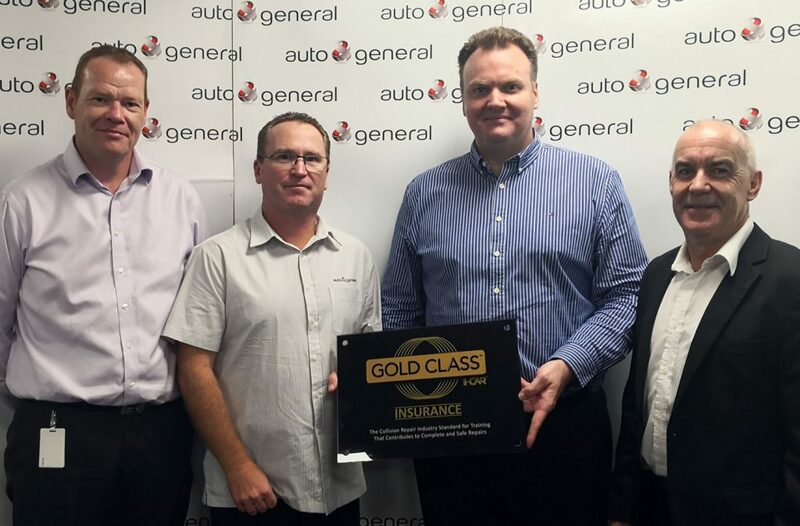 “Auto & General is very pleased to be awarded Gold Class Insurer status by I-CAR Australia,” said Anthony Matthews, General Manager Assessing. At Auto & General we realise that our biggest asset is our people, and partnering with I-CAR we are committed to ensuring our assessors are best in class, highly skilled and equipped to manage the ongoing developments in the smash repair industry. “To achieve Insurer Gold Class, a minimum of 75 per cent of an insurance company’s assessing staff must have been awarded the Platinum Individual designation,” said I-CAR’s Gary Wood.